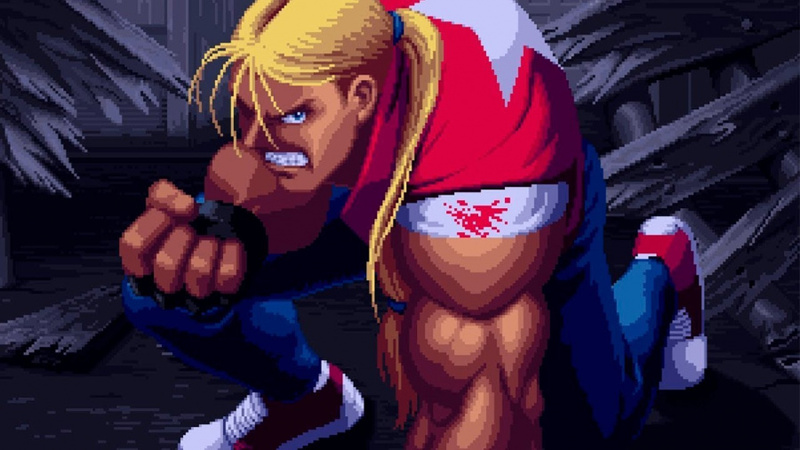 HAMSTER's admirable Neo Geo streak returns next week with Real Bout Fatal Fury Special showing up in the Switch eShop on April 19th. In case you're wondering what makes this one 'Special', we are here for you. Along with the entire roster of the original Real Bout Fatal Fury, the game sees the return of fan favourite Tung Fu Rue, along with Cheng Sinzan, Laurence Blood and the insanely powerful (please read 'super cheap') Wolfgang Krauser as the new final boss. Hidden from the roster spotlight are bonus EX versions of Billy Kane, Blue Mary and Tung Fu Rue, which grant the characters new special moves. A secret dark version of Andy also exists; Shadow Andy explores the dark side of the Shiranui martial artist and will give something fresh for Andy players to mess with. Last but certainly not least among the hidden characters is Nightmare Geese, who, despite being killed in the first game, returns here for a hidden nightmare battle. 'Special' stuff indeed! Becoming 'Special' will set you back the usual $7.99 / €6.99 / £6.29. Will you be partaking once more in the SNK's stellar brawling arena? I'm getting really confused by all those fighting games and their various special editions. If I wanted to get just one I would have no idea which one. I’ll be picking this up next week. So story-wise is this a sequel? Is it worthier than RBFF? @SmaggTheSmug Garou: Mark of the Wolves. If you only want one. @Biff_ARMStrong I dunno, which one was doing it first? And are you sure SNK wasn't getting flak for it back in the day? Come to think of it trawling old usenet archives could yield some amusing results. It was fun reading about how Atari Lynx is totally going to kill Nintendo, I bet there's some gold in old fighting games usenet groups as well. Will it have training mode? Nope. Will it have online mode? Nope. Will it have a crappy switch icon? Yup. The best upgrade of Fatal Fury 3. @Biff_ARMStrong There's literally only 9 Fatal Fury (1, 2, Special, 3, Real Bout, RB Special, RB2, Wild Ambition, and Mark of the Wolves) games and the KOF series plays nothing like FF. Street Fighter was known to have upgrades of the same game cause that happens on almost every entry they make whereas KOF and FF usually doesn't happen as much, so far only FF2 and FF3 got the upgrade treatment, 1, 4, and WA never got any and almost every KOF games never got any (except KOF 94 and 98). @Shiryu Oh, man... what to do? I really don't want to buy fighting game after fighting game, I need to focus, but if there is a story... Now I really wish they released at least arc compilations. Which they won't, because they haven't even on PS4. @Moroboshi876 I only pick the top tier SNK re-releases as means to support the publisher and this one definitely qualifies. @Shiryu This is the first time I can enjoy Neo Geo games, since I wasn't an arcade kid and only own a Neo Geo AES because I found one relatively affordable a decade ago, and have only 2 games. So I'm a noob when it comes to Neo Geo and all these games are potentionally interesting to me. My problem is with the genre. Too many fighting games means no focusing on any of them really. 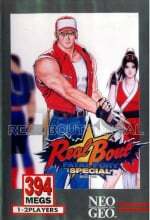 So I'm going to stick with the most important ones, and when Real Bout was released it seemed like it was some kind of must-have, like a perfect Fatal Fury or something. But I don't really know how important is story to these games. I mean is it explained like in Street Fighter (a couple lines in the ending) or is there something meatier? Thought we would get Ghost Pilots next week? Whatever, I am getting this one. @YamAsereht We should have got Ghost Pilots before Gururin. This is the first time a SNK game isn't release in the order HAMSTER announced it. Neat, that's my second favorite of the Fatal Fury series, after Mark of the Wolves. @Shiryu Yeah was wondering about that one as well. Thought it was just me mixing those up before. @Shiryu Thanks for the link and the info. So there is nothing aside endings, right? As in Street Fighter saga. You play without knowing anything and everything you have to learn comes at the end, right? @Moroboshi876 Unless you want to jump into the animes, yes. @SmaggTheSmug Capcom definitely got made fun of for making 5 versions of Street Fighter II before coming out with Street Fighter III (and that's after Street Fighter Alpha and the X-Men/Marvel games, no less). Fun fact, a group of Capcom staff saw the writing on the wall for Capcom's milking plans as early as Champion Edition and Turbo. They left to join SNK so they could flex their creativity. Samurai Shodown was their first game. This game is “special” to my childhood. Day 1! Bit surprised they aren't aware of how Real Bout Fatal Fury Special is not like the other "Special" SNK games. Fatal Fury Special and SSV Special are just upgraded versions of the games that came before them. Real Bout Special is an actual sequel. I hope they can get this right in the review. @SmaggTheSmug They didn't do a good job of explaining this, and I wonder how much they actually know about the series. @Biff_ARMStrong Thank you, see now you know why KOF is better than Street Fighter because they remain good even when milked yearly. @retro_player_22 No way, KOF is filled with garbage forgettable characters. None are as iconic as RYU, Chun-Li, Blanka, Zangief, etc.